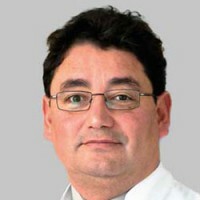 Kurt Huber is Director of the 3rd Department of Medicine, Cardiology and Emergency Medicine, at Wilhelminenhospital, Montleartstrasse 37, in A-1160 Vienna, Austria since 2002. This is a tertiary cardiology department with all interventional (coronaries, non-coronaries, rhythmology, TAVI) facilities, 81 beds, including 9 CCU/ICU beds. The department is part of the VIENNA STEMI network, which has been organized by Prof. Huber since 2003. Prof. Huber received his medical degree in 1979 from the University of Vienna Medical School, and completed his postdoctoral training at the Universities of Vienna and Innsbruck, Austria. Qualified as a specialist in internal medicine (1986), cardiology (1988), and internal intensive care (2002), he served as Associate Professor of Internal Medicine, and was Director of the outpatient ward of the Department of Cardiology at the University of Vienna (1986-1994). In 1995, he became Professor of Internal Medicine and Cardiology at the University of Medicine in Vienna, served as Director of a patient ward and the scientific laboratory of the department (1995-2002). Prof. Huber is permanently engaged since many years in activities of the European Society of Cardiology (ESC): he served as member for the EU Relation Committee (2002-2004), is part of the Editor’s Club as responsible editor of the Austrian Journal of Cardiology and he is member of the ESC Press Committee since 2005 and chair of the committee since 2010. 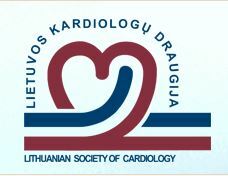 He was engaged in the WG on Thrombosis as nucleus member, treasurer, vice chair, chair, past chair and ex officio member within the past 10 years and is at present nucleus member and web/press coordinator of the Association of Acute Cardiovascular Care of the ESC. 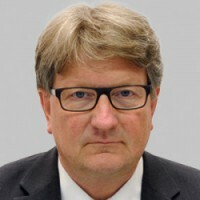 Prof. Huber has been secretary general of the Austrian Society of Cardiology from 1999-2007, took over the position of president between 2007 and 2009 and past president from 2009-2011. 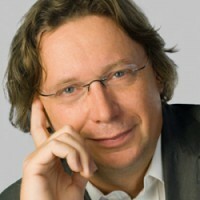 Prof. Huber is on the editorial boards of numerous medical journals including the European Heart Journal, Thrombosis and Haemostasis, The European Heart Journal on Acute Cardiovascular Care (EHJ-ACC) and the Journal of Thrombosis and Thrombolysis, and serves as the main editor of the Austrian Journal of Cardiology. Prof. Huber is fellow of the European Society of Cardiology (FESC since 1993), of the American College of Cardiology (FACC since 1993), and of the American Heart Association (FAHA since 1998), respectively. As author or co-author Prof. Huber has gathered to date more than 500 peer-reviewed publications, including his active co-authorship in ESC guidelines on ST-Elevation MI (2008, 2012), myocardial revascularization (2010), non-ST-elevation acute coronary syndrome (2011), and non-cardiac surgery (2014). 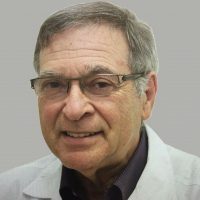 Andre Keren is the Director of the Heart Failure and Heart Muscle Disease Center, Hadassah University Hospital in Jerusalem. 1982-1984 Post Doctoral Fellow, Cardiology Division, Department of Medicine, Stanford University Hospital, Stanford, California, USA. 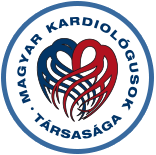 2006 – 2008 Member of the Task Force of the European Society of Cardiologyfor Guidelines of “Diagnosis and Treatment of Acute and Chronic Heart Failure 2008”. The Cardio Update Europe 2019, has applied for CME accreditation through the European Accreditation Council for Continuing Medical Education (EACCME®).